The *original* Dean on "Gilmore Girls" also almost played Seth Cohen on "The O.C." Movies and TV shows can evolve and change quite a bit from the first moment of inspiration to the time they land on-screen. So while it’s not out of left field to hear that a well-known role originally went to another actor, it always makes you wonder what could have been. 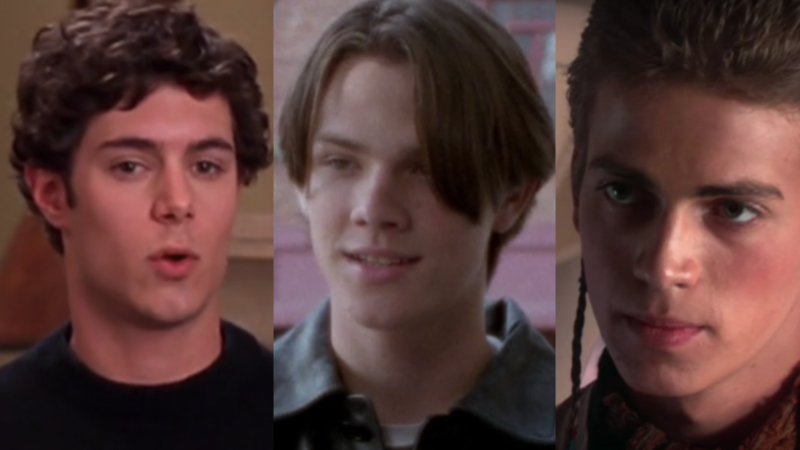 When we heard that the role of Dean on Gilmore Girls was played by Nathan Wetherington in the unaired pilot, we were pretty surprised, since we can’t imagine anyone but Jared Padalecki playing Rory’s first love. And it turns out that Gilmore Girls wasn’t Wetherington’s only brush with an iconic role. In an interview with Entertainment Weekly, he explained that he was also very nearly Anakin Skywalker in the Star Wars prequels. In fact, he made it as far as meeting with George Lucas at Skywalker Ranch. It was there that he learned he booked the role of Dean in Gilmore Girls and, feeling overwhelmed by the thought of attaching himself to such a huge franchise, Wetherington ended up recusing himself from the running to play Anakin. It was a decision he ended up regretting, and he even wrote Lucas a letter admitting that he felt he made a mistake turning down the role. He didn’t make it entirely clear in the interview if he still regretted not being in the prequels — it’s a favorite pastime of the internet to mock the films, but it still would’ve been an iconic role, and there are plenty of prequel fans out there. That wasn’t the last time Wetherington came very close to a big-deal role. Years after Gilmore Girls and the Star Wars prequels, Wetherington read for the role of Seth on The O.C. He even screen tested with Ben McKenzie. The choice came down to him or Adam Brody and, well, we all know which way the casting director decided to go. While Wetherington ended up taking a break from show business after so much rejection, he’s back at it now, and he’s even making his directorial debut with a movie that he also wrote, called A Thousand Miles Behind. Even though Wetherington encountered some frustrating brushes with fame, we’re glad he’s found a role that is perfect for him, in which he can stretch his creative muscles — without getting recast.